There’s a shoe for every occasion and hiking is no exception. Finding what will suit your feet best is a buzz between designs, performance, and—most importantly—how and where you want to hike. Not all hiking footwear is made equal. On some hikes, a simple pair of comfortable low-cut shoes will do the trick; in others, you’ll need something with more protection and support to prevent injury to your feet and ankles. Ready to tackle more challenging terrains? Hit the trails comfortably and safely with our top recommendations for the best hiking boots for men! Looking to gear up your female travel buddy? Check out these recommendations for the best hiking boots for women! It may not seem it, but the shoe industry is far from boring. Competition is fierce and brands are always pumping R&D dollars into striking the perfect balance between comfort, support & stability. We’ve scoured the market to find you the best men’s hiking boots that will help you tackle the world’s most challenging trails. Want something faster and more lightweight? 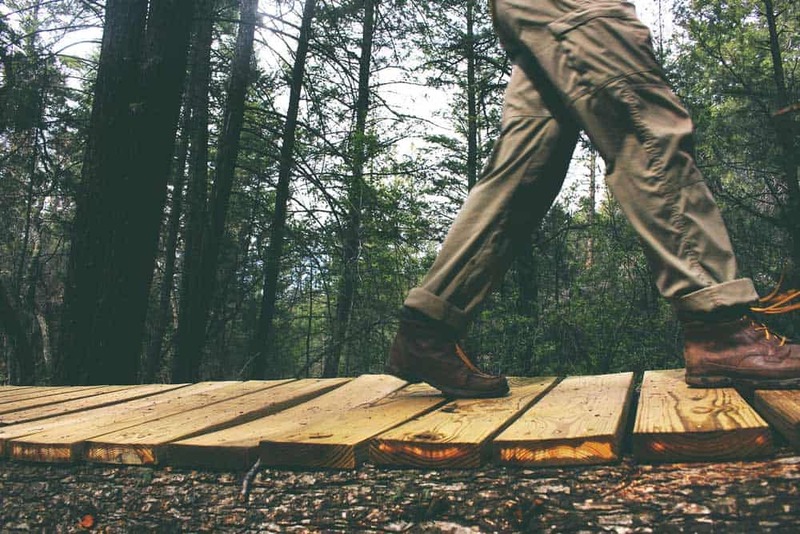 Check out these recommendations for the best hiking shoes for men! Lace up and explore the wild with the Columbia Newton Ridge Plus II. It features durable leather upper construction falong with a Techlite mesh for maximum breathability. The tongue boasts a proper seal, keeping out dirt, debris, and water for dry and comfortable feet. 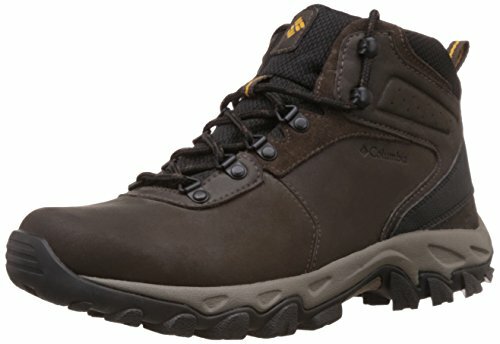 This boot is perfect for day hikers. In dynamic conditions, the rubber outsole grasps terrain steadily using its Omni-Grip technology. It provides anti-skidding properties on slimy surfaces while preventing rocks from jabbing your underfoot as you walk. Even with it’s robustness and strong grip, the outsole is non-marking; no need to worry about scuffing up floors if you’re wearing the boot indoors. For sweaty feet, however, the Columbia Newton Ridge Plus II isn’t so forgiving. The seal that provides waterproof doesn’t wick away sweat to the outside as well as other models. You’ll want to look at the Merrell Moab Ventilator Mid if you’re planning to hike in hot and humid environments. All in all, the Newton Ridge Plus II is a great choice that stays lightweight and stable without compromising longevity thanks to its sturdy rubber sole. Among hikers and adventurists, The North Face is a perpetual favorite. The North Face Men’s Hedgehog Fastpack Mid GTX hold true to the brand’s reputation, dazzling wearers with its lightweight features. With this boot at the helm, you’ll be able to cover lots of ground; unlike other clunky models, the Hedgehog Fastpack won’t weigh you down. The support, cushioning and stability on the The North Face Fastpack Hedgehog Mid GTX are top notch seeing that it’s mid-cut with excellent ankle support. The midsole benefits from CRADLE technology that uses a molded EVA for cushioning. For providing traction and balance while walking fast along rocky paths, you can always count on the TPU shanks and Vibram outsole. The North Face Hedgehog Fastpack Mid GTX features a breathable textile mesh that keeps your feet fresh throughout your trek. Even after a daily of heavy use, you’ll be sheltered from sweat odours better than with other boots. All of this while sporting a Gore-Tex membrane that maintains excellent waterproofing. Trust on the Hedgehog Fastpack to help you explore the wetlands and endure harsh outdoor elements. 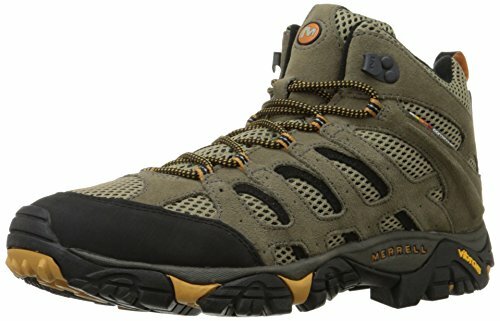 One of the biggest drawbacks is that The North Face Fastpack Hedgehog Mid GTX isn’t the cheapest hiking boot out there. An incredible set of features gives it an upscale price, albeit one that’s reflective of the high-quality it brings to the table. Counting down the miles can be painful when wearing wrong hiking footwear. If that’s the case, the Ahnu Men’s Coburn should be one of your go-tos when stepping into the elements. The boot comes with a full-grain leather upper that provides ample foot support. Not only does it protect your feet; it also provides breathability thanks to the mesh on the ankles and tongue. It bears an airy eVent membrane that allows for maximum perspiration. The gusseted tongues on the Ahnu Men’s Coburn come with plenty of padding to cushion to the top of the foot. Let’s not forget that it also keeps debris, stones, and pellets from plowing through to the inside and causing discomfort. As if the upper’s comfort wasn’t enough, you’ll also love the cushy midsole which comes with EVA foam to give the underfoot a proper landing. 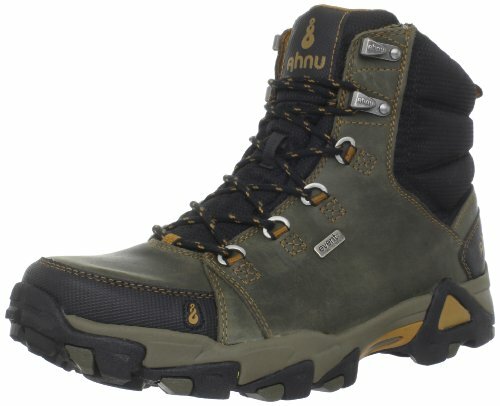 With a secure lacing to provide total stability, the Ahnu Coburn also sports a the look of a classic hiking boot. The biggest drawback is that getting a stab at all these features means that you’ll need to dig a little bit deeper into your wallet. 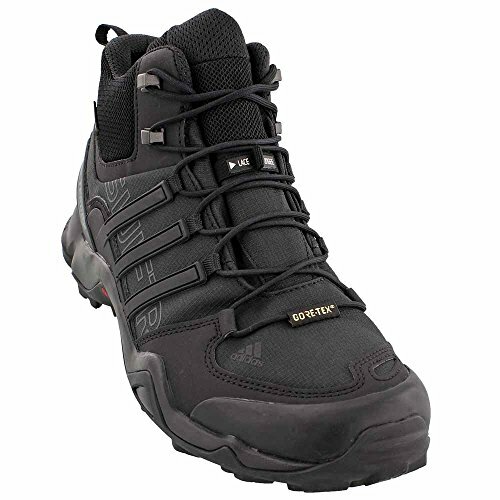 Day hikes are never better than when you’re wearing the Adidas Men’s Terrex Swift R Mid GTX. It’s built for performance, speed and a large dose of comfort. The lightweight design provides ample flexibility so you can push through the trail without worrying about your feet. 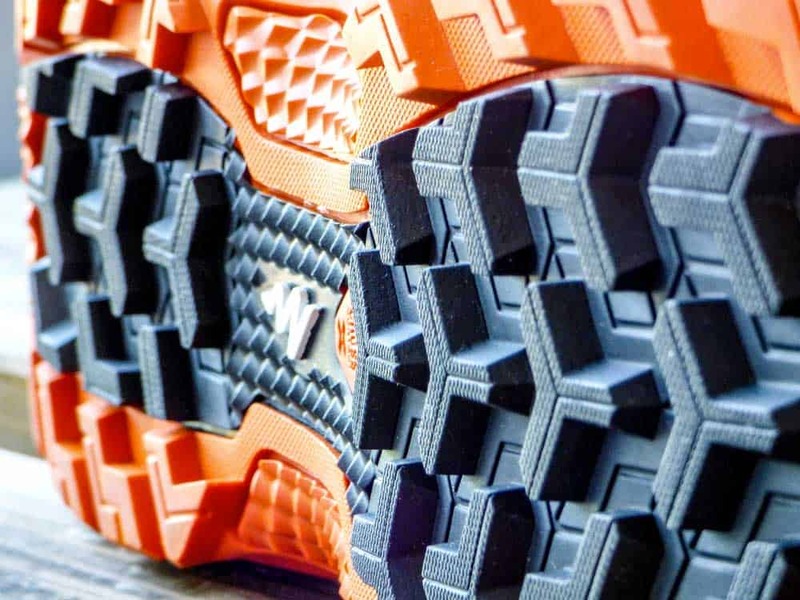 The Terrex Swift R Mid borrows extensively from the company’s athletics technology, equipped with AdiPRENE inserts that support the forefoot and heel area. You’ll escape sore feet as it spreads impact and keeps your toes cushioned. The rubber outsole is significant, grasping the ground with TRAXION lug grips to prevent skidding on wet surfaces. When it comes to breathability, the Adidas Men’s Terrex Swift R Mid GTX stays airy yet waterproof thanks to the Gore-Tex upper lining. An interior lining further maintains the boot’s anti-splash properties. Considering that the Terrex Swift R Mid is built for speed, you should not count it for 100% support in the case of a fast forward swing. The ankle gets all around flexibility, so you should stay cautious if you’re carrying a heavier load in your travel backpack. We always expect something special from adidas. And their record for athletic footwear extends to what they offer for hikers. 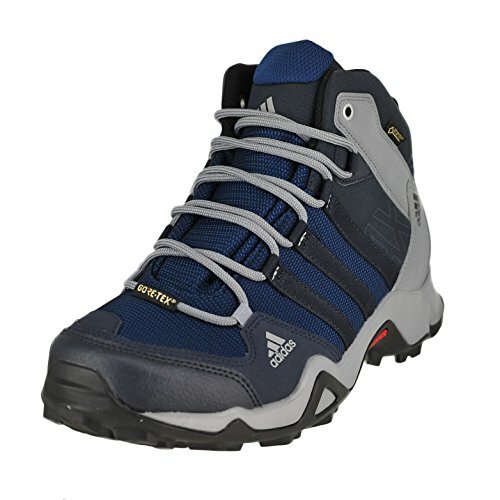 The Adidas Outdoor Men’s AX2 Mid GTX boasts extended comfort both as a hiking boot and as a casual shoe. It comes with a molded EVA sock liner which allows the footbed to follow the natural contours of your feet. This means it fits like a glove while fully supporting your arch. You can count on the AX2 Mid GTX to last. The textile and synthetic upper is robust and durable, withstanding heavy usage. Same with the rubber outsole; it outperforms other models even on wet grounds, keeping sliding to a minimum. In rainy conditions, this boot beats the odds with a classic Gore-Tex lining that offers maximum splash resistance. You should, however, give the Adidas Outdoor AX2 Mid GTX a pass when it comes to keeping you warm in the heart of winter. The airy feeling speaks of a summer hiking boot. This isn’t necessarily a bad thing. The AX2 Mid GTX isn’t as stiff as most regular hiking wear. Built lightweight for speed, you’ll love donning this boot on fast-paced hiking missions. 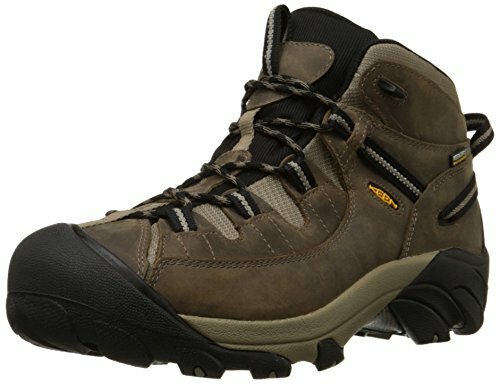 If you’re looking for fast backpacking on the mountain trails, then the KEEN Men’s Voyageur Mid should slide in as a top choice. Comfort is evident with the dual density compression EVA midsole. It takes up the shape of your feet for long-lasting cushioning. You’ll love that the midsole is removable so you can wash it to retain the freshness for your next trip. Stability’s the name of the game owing to the internal shanks and heel lock of the Voyageur. It also bears multi-directional lugs to keep it rooted to the ground. With it, you’re assured of a secure and fluid ride. The split-grain leather upper is light & breathable if not waterproof. Coupled with the mesh lining you can spend hours in the KEEN Voyageur Mid while keeping your feet dry and comfortable. Of course, there’s a trade-off. 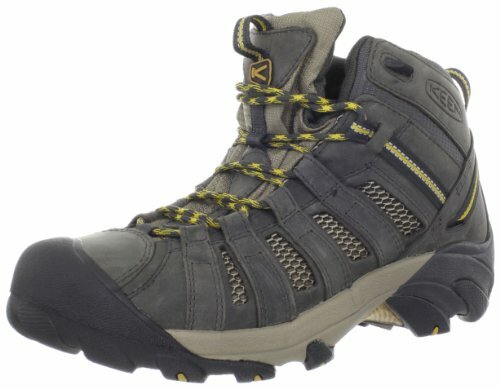 The KEEN Voyageur Mid is not a warm hiking boot; you’ll want to skip to the heat of spring and summer while wearing it. Nevertheless, with the Voyageur Mid KEEN built excellent value footwear that should grace your hiking collection for a long time to come. 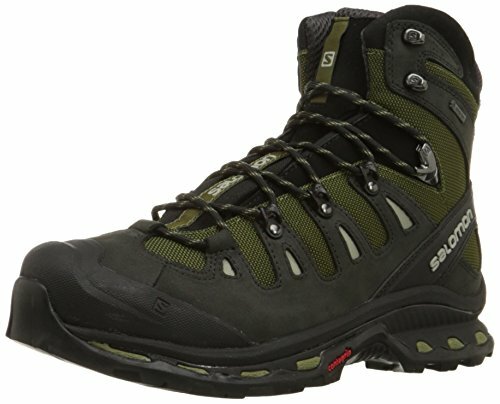 The Salomon Men’s X Ultra Mid 2 GTX is not new to the trails. A long-serving favourite, this boot sports superb stability and support that will let you gain momentum trekking through a variety of terrains. It’s a mid-cut shoe fitted with a padded collar that wraps well around your ankle for extra protection against rolling. Walking around with outsole’s contra-grip traction helps you venture on all types of paths—even or uneven. Even sandy paths aren’t a problem as you can count on the gusseted tongue to keep out debris like small stones. Let’s not forget the rubber toe cap that protects your forefoot from the fatigue and strain of trekking over rugged terrain. In your Salomon Men’s X Ultra Mid 2 GTX you can say hello to the wild in an excellent shoe that’s not only comfortable but also very lightweight. However, we can’t fail to mention that the support on the X Ultra Mid 2 is not necessarily top-notch for a top-cut hiking boot. If you plan on carrying a heavy load in your backpack, you’ll have to contend with some instability. We wouldn’t necessarily expect a rolled ankle, but you’ll want to strike some balance in your pack to avoid injury. Want a bit more without paying a huge premium? 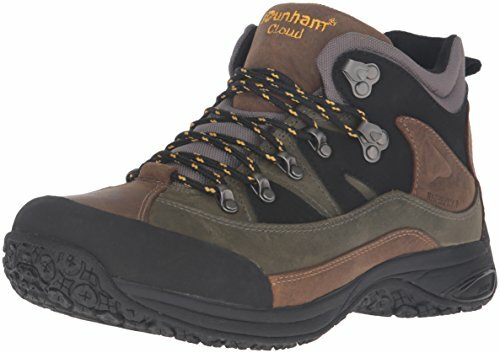 The Dunham Men’s Cloud Mid-Cut Waterproof is value crafted for rough terrain, incorporating technologies often limited to more high-end hiking boots. The Cloud is a versatile design that sports a memory foam footbed and a removable molded EVA midsole. Both help the boot to absorb shock with grace so you can trust it to keep you grounded as you trudge over rocky paths. Every stride lands safely with the Cloud’s aggressive traction and Fiberglass stability shank. Full weatherproofing sends you exploring riverbeds or trekking through damp conditions with ease. What’s more the Dunham Cloud Mid-Cut Waterproof features a toe guard and a leather upper that keeps your foot planted in the boot. Being mid-cut, you get a slightly faster boot without sacrificing its outstanding ankle support. For those that love speed and trail running, however, you’ll have to make a compromise on this pair. A complete wrap around the ankle means you aren’t free to move about at a fevered pace. Seeing as the Dunham Cloud Mid-Cut doesn’t fall too short in other important properties, we can say this is a excellent value boot made for high-performance. There’s no denying that the Merrell Moab Ventilator Mid is considered the most versatile hiking boots of all time. For years, it’s been an all-around performer, pleasing hikers with its durability, weatherproofing, stability and overall comfort. The durable leather upper outlasts so many other boots, creating massive value for the money. Even so, the Moab Ventilator is built for the hot weather. Its textile mesh provides maximum perspiration and its one of the coolest and most comfortable among our pick. For comfort, Merrell’s got a winner. This boot cradles your feet with excellent arch support thanks to the ortholite footbed. The cushioning provides a spring-like feeling, helping propel your steps forward. Even venturing along rough paths feels like a walk in the park in this comfy boot. You can also count on the mid-cut design and Vibram outsoles to see you through wet & rocky terrain. It maintains a firm grip over a variety different surfaces and allows for safe, fluid motion. As we said, the Merrell Moab Ventilator Mid is most at home in scorching temperatures. This isn’t a boot that you can count on to keep you warm through frigid conditions. With its top-cut design and enhanced support, The Salomon Men’s Quest 4D 2 GTX is clearly engineered for harsh terrain. We can’t fail to notice the boot’s high collar, ending well above your ankle to keep you safe from rolling. Thanks to the EVA midsole, the padding on the Quest 4D 2 offers a safe landing for your feet. When you’re walking over long distances, your feet will be free from strain as they’re cradled by the comfortable and supportive heel foam. The boot’s rubber toe cap also comes in handy to protect your feet as you beat the pebbles on a safe return home. With your Salomon Men’s Quest 4D 2 GTX strapped on you can trudge along soggy paths and mud trails and still come out fully intact as the boot maintains a waterproof lining and comes equipped with a mud guard. The sunny days, too, are not forgotten; for a waterproof boot, it’s surprisingly breathable. You’ll also love that the Quest 4D doesn’t retain harsh odours because of the ortholite footbed. To challenge the untamed backcountry this is one of the best choices among our top picks. The molded EVA midsole for cushioning, contra-grip traction and the resilient upper construction all make the Salomon Quest 4D 2 GTX an exceptional choice. Even with the freedom it offers, you’ll still want to avoid soaking your shoes underwater; it can’t keep out that degree of water. There’s a reason (or two) the KEEN Men’s Targhee II Mid WP has grown so popular over the years. This boot is an all-around performer that provides great support and cushioning when venturing into paths riddled with rocks. You can trust the Targhee II Mid to give you all-day comfort since it’s engineered to provide arch support while following the natural curves of your feet. You’ll love the compression EVA midsole that conforms to your foot. Each time you step into the boots you’ll get that airy feeling that springs your step upward. The treads on the KEEN Targhee II Mid WP won’t let you down either. They’re fashioned with multidirectional lugs complemented by stability shanks that’ll keep you stable on wet rocks and slippery snow. Better still, under the scorching sun KEEN’s breathable membrane wicks away sweat and keeps your feet dry and comfy. For all its features, expect a few added ounces. If you love mixing up hiking and trail running, the extra weight may feel like a drag. It’s a fairly small trade-off, however, for a hiking boot that can seriously step in wet conditions. Overall, the KEEN Targhee II Mid WP is stable and supportive, and a real remedy for adventure enthusiasts. With its rugged outdoor-inspired styling, Timberland has garnered a huge following over the years. In the Timberland Men’s White Ledge Waterproof we find a hiking boot that helps us traverse through adverse terrains. What stands out most is the sturdy rubber outsole, carrying great traction with multi-directional lugs. When you sport the White Ledge, you can feel its grip latch on rugged terrains—even when take your expeditions to canyon steps replete with sliding surface rocks. The boot boasts an oiled leather finish which does not only add support, but also seals moisture out. It can endure substantial abuse as it helps disperse the pressure and absorb impact. What’s more, the boot is very responsive to a proper gait as it comes with an EVA foam for the footbed. The only hope with the Timberland White Ledge Waterproof is that temperatures stay put. The breathable footbed can only do so much to keep your feet dry from sweat while also maintaining the boot’s excellent waterproofing. 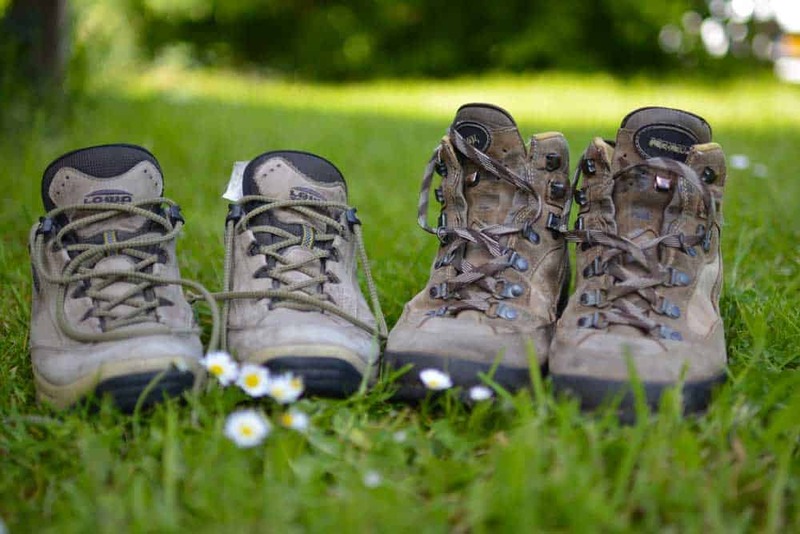 Hiking boots are essential travel gear for anyone who loves the trails. It should come as no surprise that your preferred footwear is highly personal; the best shoe for your buddy may not come close to working for your feet. Much of it comes down to personal preference. But unlike other footwear, it’s important to minimize fashion, style, flashy features. Nailing down the basics is more important than how you look; hiking trails aren’t always forgiving! When shopping for hiking boots & shoes, you’ll encounter three basic types of cuts: low-cut, mid-cut and top-cut. These three designs offer different stability and aim to cover various hiking scenarios. These models allow flexibility around the ankle and in the midsole. They are intended for day hikes as they are lightweight. Most people who gravitate towards hiking shoes carry light packs to take them through many miles fast and easy. They keep your feet stable by providing ample ankle support. They are also meant for light backpacking, but you can go through rough environments with extreme weather conditions. Mid-cuts often have the best traction so you can take them on slopes and sliding paths. These boots represent the ideal all-weather hiking boots. They not only provide ankle support, but are perfect for covering miles and miles of terrain. For cold weather, top-cuts are the best choice since they seal well against moisture. They are also the best option for carrying heavy backpacks. Unpaved roads, rocky paths, and rough trails call for boots with profound and reliable traction. 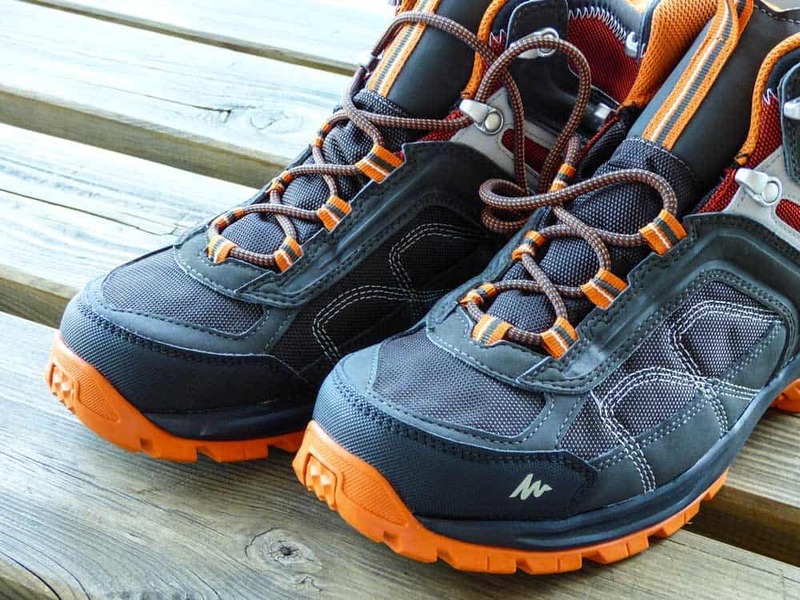 Rubber is the standard for hiking boots outsoles. More expensive and better engineered (read: more expensive) rubbers, tend to provide better traction and last longer. On standard terrain, most outsole patterns will do the trick. If you are going over uneven rocks and riverbeds though, you’ll want to consider boots with thick lugs to provide protection against skidding. Multi-directional patterns and heel brakes are considered the best for slopes and steep valleys since they grip firmly on various types of ground. Much of a boot’s internal support comes around the midsoles. They’re designed to shield your feet from pressure and reduce the impact on treading along rough paths. Midsoles are responsible for cushioning against rocks and hard terrain which may press your underfoot and render your journey uncomfortable. Long hikes require especially firm support in the midsole, replete with shanks for stability and proper cushioning materials. EVA and polyurethane are the most common midsole materials with the former being the more coveted of the two. EVA footbeds are usually dense and provide reliable shock absorption for your foot. They have great rebound, and are engineered to withstand heavy usage. For a extra dash of comfort, consider grabbing a molded EVA that conforms to your foot to provide all-day comfort. Besides the midsoles and outsoles, you’ll want to look at the boot’s upper: the material that covers your foot and protects it from the harsh outdoor elements. When choosing the perfect hiking boot you’ll need to find an upper made with the materials that best suit the particular hikes you’re planning to head out on. Leather is one of the most common upper fabrics, showing up in a large percentage of the boots on the market. It’s stiff and durable to provide good support, but should be broken in before venturing on long journeys to avoid blisters. Hiking boots with full-grain leather uppers are water resistant and very durable. They’re ideal for heavy backpacking on rugged terrains. The biggest challenge comes with their lack of full breathability. Split-grain leather is another favorite. It offers a balance between stability and breathability. It’s complemented by a mesh fabric that allows free airflow and wicks away sweat. In the hottest weather conditions, you’ll find that the split-grain leather and mesh combo helps keep your feet relatively fresh. As with any other material, there’s a compromise. This type of upper construction is only ideal for dry and warm weather. Mesh fabric is synonymous with allowing moisture to seep in and are too cool to wear during the winter. Synthetic and textile uppers are the most flexible and lightest of the bunch. They’re ideal for short hikes in even terrains. If you love hiking and running, this material is the best. And, just like the mesh fabric, you can expect high breathability. You’ll find its use limited mostly to hot & warm weather. Many uppers are also constructed with waterproof membranes. Boots using Gore-Tex technology offer excellent moisture resistance while remaining lightweight. They’re perfect for wet conditions since they keep the feet dry. They have a larger breathability challenge, however, since airflow is minimal. Needless to say, fit is hugely important when selecting your boots! You definitely don’t want to end up with blisters and achy feet after a long day hike. Your hiking boot should be snug to the foot while leaving little room for the toes to wiggle. Knowing your proper size is crucial in preventing injuries when you’re out on rough terrains. Be sure to consider the insoles and the socks you’ll be wearing on your hikes. Buying hiking boots online can be a bit tricky because of the sizing, but reading other people’s takes on the fitting can be of great help. When shopping in local stores, bringing along a pair of your favorite hiking socks can save you the hassle of returning for a refund. Always make a point of walking in your new pair and breaking them in before taking them for a long hike. You should try them on steep surfaces like a set of stairs since they should not slide forward when going downhill or pinch the toes when going uphill. Remember that pavement is much the opposite of the rock-hewn trails. To get the best idea of the fit, seek out more rugged terrain to check the shoes performance before embarking on a longer hike in the wild. Need a quick & easy choice? 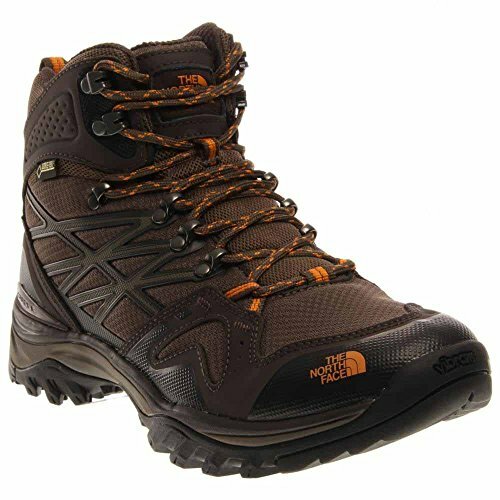 With all its features and styling, our overall favourite pick is The North Face Men’s Hedgehog Fastpack Mid GTX. Want to pack lighter? Hands down our favourite lightweight hiking boot here is the adidas Outdoor Men’s AX2 Mid GTX. Plowing over rugged terrain? You won’t be disappointed with the extensive support of the Salomon Men’s Quest 4D 2 GTX. Trekking in warm weather? No boot will keep your feet cool as well at the Merrell Moab Ventilator Mid. Need stellar traction? The Timberland Men’s White Ledge Waterproof is our top pick for the rugged outdoorsman.